Kiki Button is in the world! April in Paris, 1921 has now been released by Harper Collins throughout Australia. You can get it at Booktopia, on your reading device, or in your local bookshop. 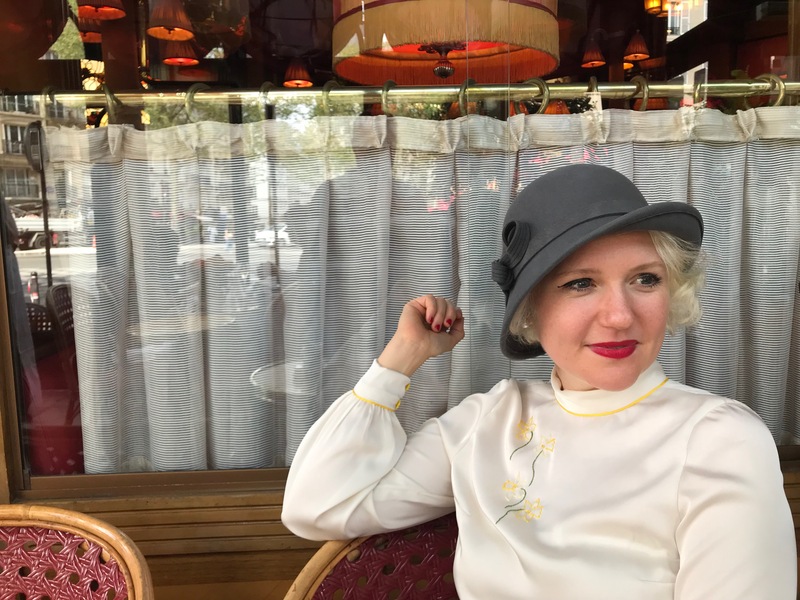 To celebrate, here’s a picture of me, dressed up as Kiki, sitting in the terrasse area of Le Dome Cafe in Montparnasse, Paris in April.